This was a free hand attempt. I splashed whatever colors I got in hand :) By the end of it, red paint was floating inside the yellow bottle. I also got a couple of other paintings completed and framed. I cannot claim any expertise here too,since all it requires is to trace the design and paint. 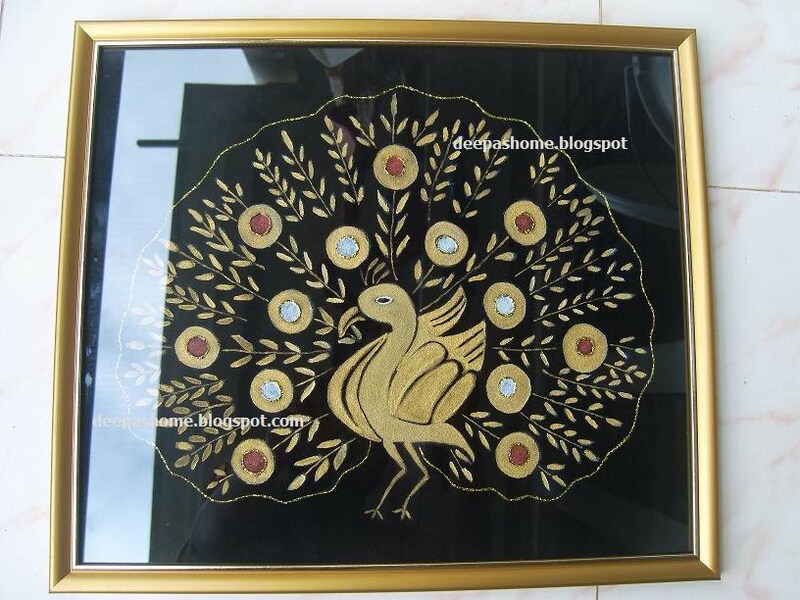 This is Pearl metallic on fabric. 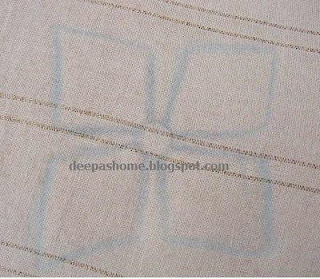 The design was traced to the fabric and then painted. 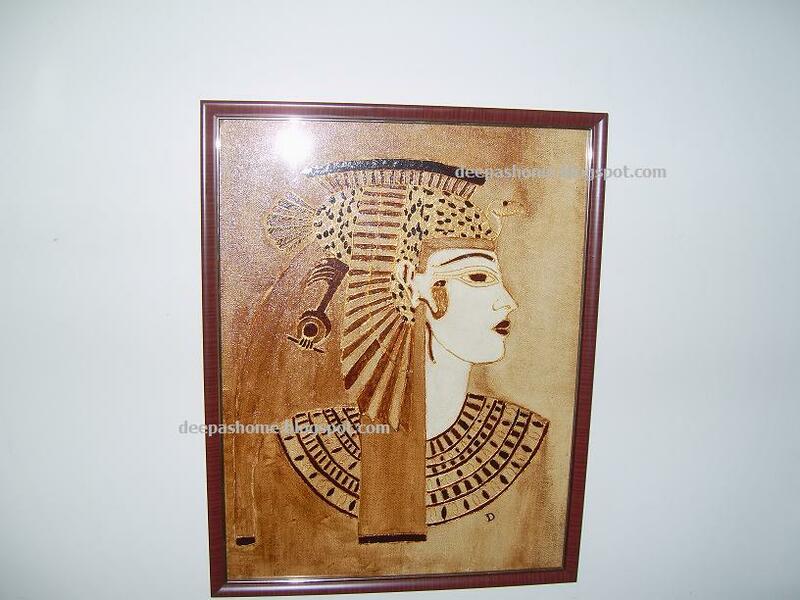 Coffee painting on canvas.The entire pattern is painted with coffee powder. The thickness of the mix has been altered to get the different shades.Click on the pics for better view. And..thus ends the exhibition of my paintings :) Back to embroidery now. Beautiful paintings...i love the coffee painting ...awesome..
Well done on your attempts at painting, I wouldn't know where to start. 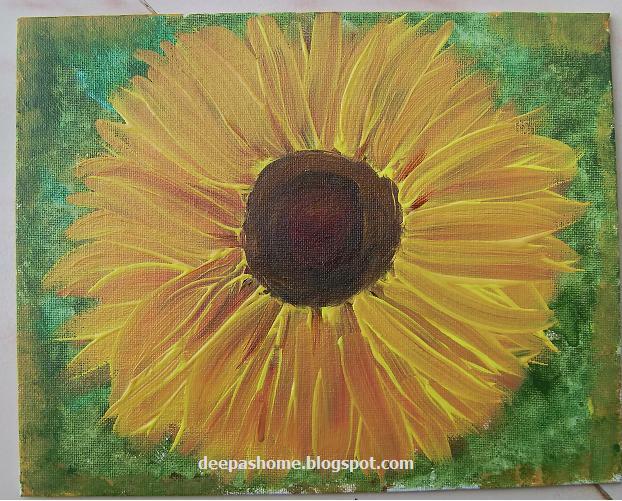 Deepa, I think your flower petals look very realistic! They almost dance! 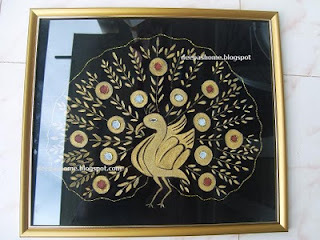 You have an artist's eye, and this is very apparent in your embroideries, so I am not surprised at the realism in your painting. Well done! Lovely. You layered the colors very nicely in the flower. The other two are also very nice. How did you like painting with coffee powder? The golden yellow attracts me . Very nice painting. Excellent Deepa! If that's your first attempt, imagine what a little practice will result in. Good for you! Deepa the flower looks real. coffee painting is beautiful. If this is your first attempt then I wonder how well you'll do with a little practice. 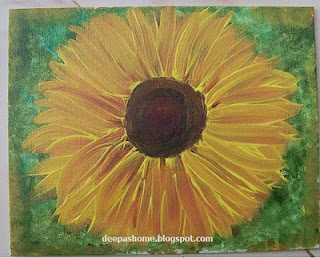 Hi Deepa...Great painting for your first try.The flower is very realistic.You ould not have done any better. 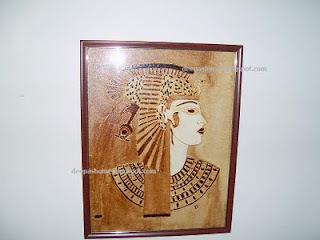 It is the first time I hear about painting with coffee powder.I just learn something new.I am not surprise with your painting as like me you do a lot of different craft and can deal with color. Laurette.